I’d never been a huge fan of pork but that changed as soon as I tried pulled pork. It was at the Martinborough fair where my husband ordered a smoky slow cooked bbq pulled pork burger and it tasted amazing! Tender, succulent and full of flavour, I probably ate more than just a bite when I asked to try it! After that I went on a mission to create delicious pulled pork at home. 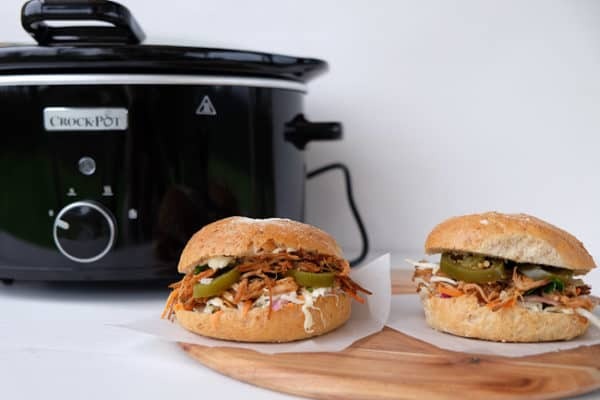 The good news is melt in your mouth, full of flavour bbq pulled pork is actually simple to make, especially using the slow cooker Crock-Pot. You can use cheaper, tougher cuts of meat and the slow cooking process makes them deliciously melt in your mouth tender. The Crock-Pot I used is the Lift & Serve CHP450 model which is perfect for help yourself style meals like pulled pork. The liftable lid makes it easy to serve your own without having to take the lid on and off all the time. You can check out the new models of Crock-Pot here. This makes a delicious easy workday meal or something tasty for the weekend too. Cut the visible fat layer off the pork. Rub over the herbs and spices and season with salt and pepper. Place the pork into the Crock-Pot. Pour around the apple cider vinegar and put the lid on the Crock-Pot. Turn to low and leave to cook for 8 hours. Pour out the liquid and reserve ½ cup. Place the liquid in a small bowl and scoop any fat from the top (sometimes I add some ice cubes to cool it down and coagulate any fat which can make it taste a bit greasy) then mix through the BBQ sauce. Using two forks, pull apart the pork in the Crock-Pot. Season with salt, pepper and sprinkle over the extra spoon of garlic powder. Mix through the BBQ sauce mixture. I’m giving away the Crock-Pot Lift & Serve CHP450 model so you can create delicious slow cooked meals at home. To be in the draw, simply check out the Crock-Pot website and tell me what recipe you think you’d try out if you won. 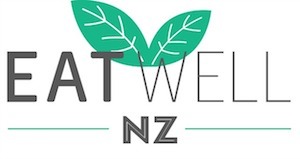 Competition closes 14th July 2017 is open to NZ residents only. I’d try the Thai peanut chicken – YUM! I would definitely make the pulled pork first but then I would need to try the beef pot roast and the vegetarian nachos and then I would absolutely have to try the chocolate coffee bread pudding!! 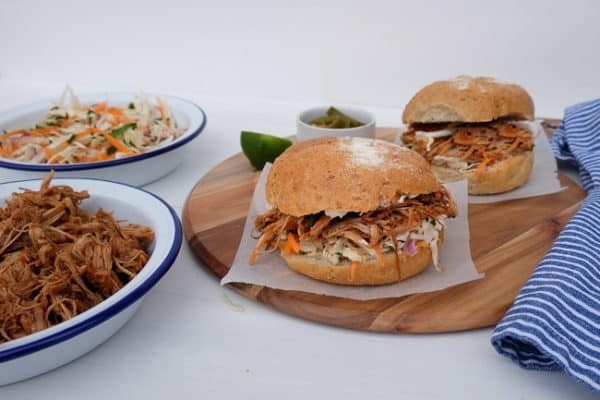 Ohhh… the spicy chicken madras looks tasty or the pulled pork burgers! So yum, so easy. Thai Peanut Chicken – this looks delicious! These pulled pork sliders are definitely on the menu! I have a leg of wild pork in the freezer to use too ???? From the crock-pot website I’d be keen to try most of those recipes, but most definitely the Korean Style Beef short ribs first ???????? 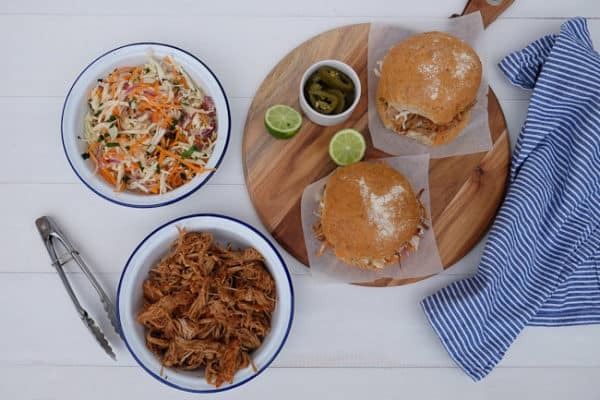 I would definitely try the pulled pork first as my family all love pork and burgers ! Gotta be a winning combination right there !???? I’d try the Creamy Prawn And Coriander Slow Cooked Chowder. I love a creamy chowder on cold winter nights. Team it up with a fresh beer bread…..yum! Korean style Beef short ribs yummy! Omg, all of the recipes look delicious. I love the look of the Classic Beef Bourguignon but the Slow Cooked BBQ Pulled Pork, yum! I can’t wait to try both! Thanks for the recipe – trying it out now. If I won the competition I would make the vegetarian nachos recipe – I imagine slow cooking it would give it heaps of flavour! Didn’t ever think to make desserts in a slow cooker – I would try the cheesecake. Would love to try your recipe in a new slow cooker too. Yum!?? Definitely the pulled pork it looks delicious and easy to do ? Creamy prawn and coriander slow cooked chowder..
Well, after I try your pulled pork recipe, it might have to be the vege risotto or the duck ragu if I can get my hands on a duck! I would love to try the sticky spare ribs!